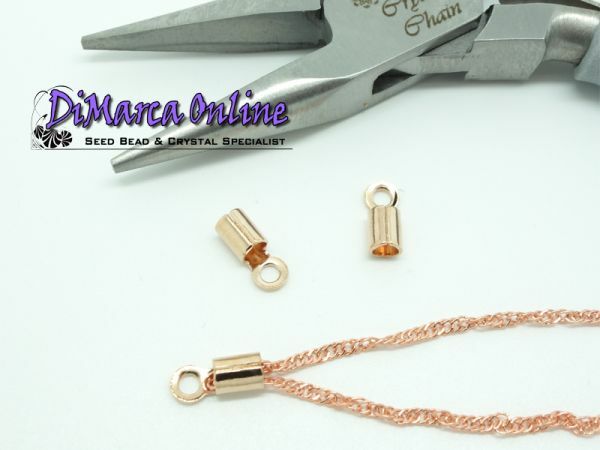 Crimp Ends enable you to attach a ring or clasp to small chains and cords. Gently squeeze the Crimp End around the chain or cord with a flat nose plier. Crimp Ends are made of brass, with high quality thick nickel-free plating.